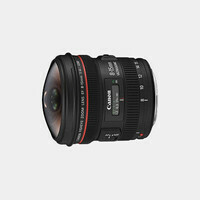 This ultra wide-angle Tokina AT-X 107 AF DX Fisheye 10-17mm f/3.5-4.5 Lens for Canon APS-C delivers the ultimate fisheye for your Canon APS-C camera. A 180 degree view at the 10mm setting takes in more than the human eye sees, with a typical dramatic curvature of field. At the 17mm end of the zoom, it's a very wide-angle lens. This very useful lens contains one super-low dispersion glass element, helping to make the lens compact, lightweight (12.3 oz/350g) and fast focusing.